I was excited to write Nevada, since I live here. I took the opportunity to visit almost all the places mentioned in the book. I interviewed the lady who runs a café in tiny Rachael, Nevada. “Do you see UFOs?” I asked her. “Well, we see some strange things here,” she replied. I learned stories of old Nevada and toured Hoover Dam outside Las Vegas. I hiked up to the bristlecone pines at Great Basin National Park. And more. . . You’ll find the results here. 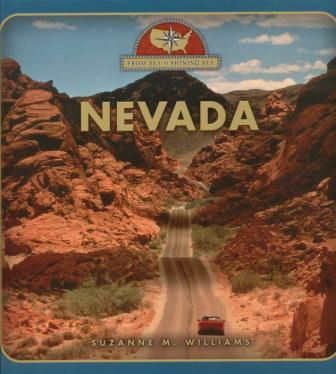 Click here to see photos of Nevada.